"Dear Santa" is composed of a number of short scenes that range from the hilarious to the touching. 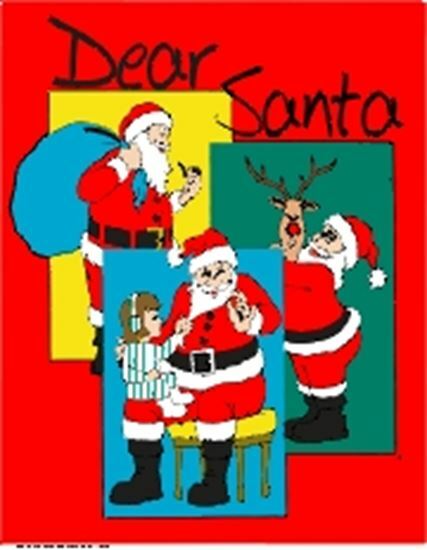 Many views of Santa are seen - from the point of view of the child who alphabetizes her Christmas list and sends it out in August as well as that of children at various stages of belief - and disbelief! Santa and his helpers shed light on many of the mysteries surrounding him, including why you don't always get the gift you ask for, how Santa delivers all those gifts in one night, how he finds children spending Christmas away from home, and how his power transcends the boundaries of race, gender and religion. Of course, sometimes being Santa isn't all that great - your helpers fight over which one is best and occasionally you get arrested for shoplifting by those of little faith. But in the end, it is the faith of the many that sustains Santa.